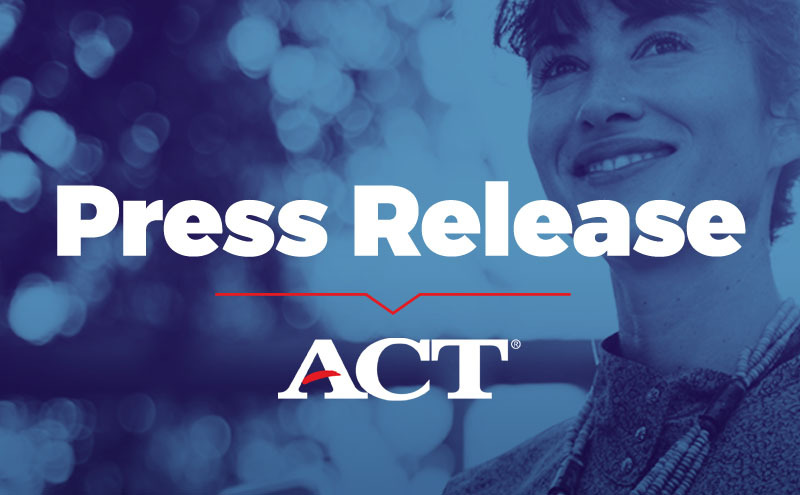 IOWA CITY, IOWA—ACT, Inc., the nonprofit developer of the ACT® test and other assessments taken by millions of individuals annually worldwide, announced today that it has acquired The National Research Center for College and University Admissions™ (NRCCUA®), an educational data science and research organization. NRCCUA was a portfolio company of Sterling Partners’ Education Opportunity Fund. Terms were not disclosed. Founded in 1972, NRCCUA links colleges and universities to the nation’s largest college and career planning program for students seeking post-secondary guidance. More than 1,800 four-year non-profit colleges and universities are NRCCUA members. NRCCUA serves K-12 schools, students, parents, and educators with a free college and career program called myOptions™, which is the nation’s largest college planning program, currently reaching 6 million students. In addition, the company’s Encoura™ platform provides colleges and universities with advanced, data-driven enrollment management and research offerings. Vogt will remain on as CEO of NRCCUA and myOptions, reporting directly to Roorda. The acquisition of NRCCUA will advance ACT’s efforts to promote equity in education, providing the organization with immediate opportunities to make a meaningful impact on underserved K-12 students through expanding market reach and access to free, comprehensive career and college planning tools and resources. ACT will also leverage NRCCUA’s capabilities to enhance ACT’s Enrollment Management products and services. Postsecondary institutions will benefit from ACT and NRCCUA joining forces by having access to actionable data science and relevant research—delivered through Encoura Data Lab—that will enhance their marketing and recruiting efforts. NRCCUA’s Encoura platform, college member reach, and marketing strengths foster insightful decision making for colleges and universities. Their proven solutions enable higher education to combine data, analytics, technology, and digital services to make more informed decisions that help improve student outcomes. ACT’s acquisition of NRCCUA follows other recent investments and acquisitions designed to help the organization transform from an assessment company into a measurement, learning and navigation company. In the past few years, ACT acquired OpenEd and ProExam and made strategic investments in Smart Sparrow and the New Markets Venture Partners, a pioneering education-focused fund. In partnership with nonprofit The NROC Project, ACT created ACT CollegeReady. And, earlier this year, it announced a partnership with Arizona State University to identify dozens of advanced research and product development initiatives to enhance the future of learning. The National Research Center for College and University Admissions is an educational data science and research organization serving over 1,800 member institutions comprised of public and private four-year colleges and universities across the nation. For 45 years, NRCCUA has been a leading provider of data, technology, and programs serving students, high school educators, four-year colleges and universities from its offices in Lee’s Summit, MO, Boston, MA, New York, NY, and Austin, TX. These solutions represent the link between students making important life decisions and those providing the resources and information they need to succeed in their post-secondary educations and careers. With the launch of its Encoura™ Data Lab, the company now combines data science, advanced analytics, research, predictive modeling and omnichannel enrollment services in one platform to enable institutions to make real-time strategic and operational decisions to meet their unique enrollment goals and create the highest probability of student success. NRCCUA was part of Sterling Partners’ Education Opportunity Fund (EOF), which is a mission-based private equity fund investing in purpose-driven educational organizations. For more information, visit https://www.nrccua.org or http://www.encoura.org.